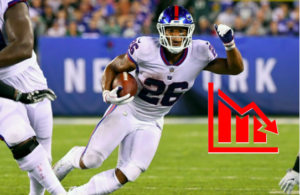 In hist first two professional seasons, Alvin Kamara has already finished as the RB3 and RB4 in Fantasy Football. Slippery, explosive, and surprisingly powerful, Kamara is the ultimate do-it-all weapon that landed with the perfect mind to unleash him in Sean Payton. 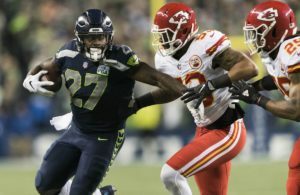 He was undoubtedly and deservedly going to be drafted towards the top of your 2019 fantasy drafts, regardless of the offseason. However, one potential move could vault Kamara’s already sky-high value into a different stratosphere. 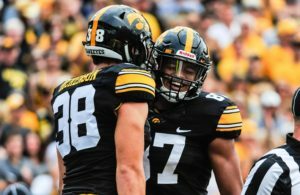 In fact, I recently labeled this the No.1 Offseason Story that Fantasy Football owners MUST track. But that’s not the most intriguing or important aspect of Ingram’s potential departure. Yes, Kamara’s Ingram-less pace was: 360 touches (140 rec. ), 2396 tot. yds (1344 = rec), 24 TDs (20 Rush). This equals 524 total PPR FPs… nearly 33 FPPG! Yes, I’m well aware that Sean Payton typically deploys a committee. 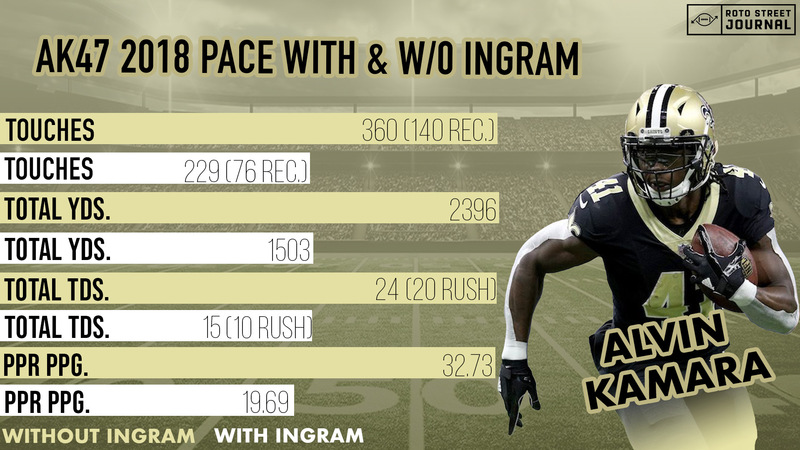 Even if Ingram leaves, Payton seems highly unlikely to just hand Kamara that 22.5 touches per game pace for a full season. Still, in a generally weak free agent and draft class, an Ingram “replacement” is unlikely to be on the same level. We also just saw Christian McCaffrey redefine “Workhorse Back” this season after logging 97% of snaps in Weeks 1-16. Kamara’s increased GL rushing usage was especially noteworthy, as the explosive back was on pace for 20 Rushing TDs. 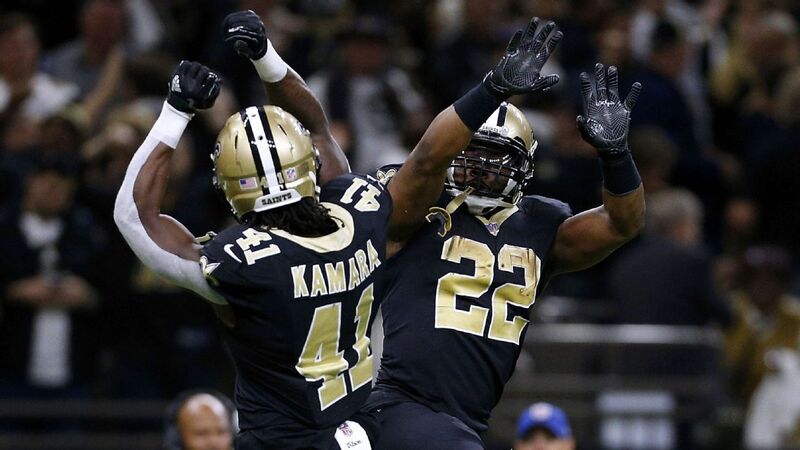 If Kamara avoids a “Hammer” style addition, he could be in prime position to cross the 20 total TD threshold. Unlike his record-setting 140 reception pace, Kamara’s high-TD rate actually feels mildly sustainable in an Ingram-less attack. Regardless, Kamara belongs in your Top-6. 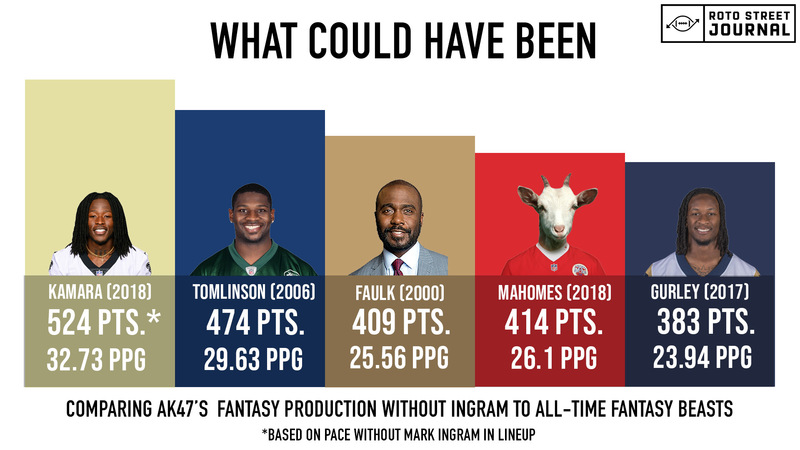 Still, monitoring this backfield’s makeup is absolutely essential for fantasy owners, as a ridiculous Cheat Code — one capable of producing the greatest fantasy season ever seen — could emerge. Next Story → Will Packers HC Matt LaFleur Finally Unleash Aaron Jones?